Fuzion Analytics is a data mining and analytic services organization dedicated to serving the informational needs of the Long-Term Care (LTC) insurance industry. 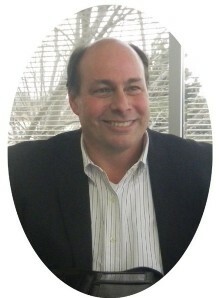 Brian leads the Fuzion team with over 30 years of experience in the insurance and technology industries. He has served as CEO, CIO, COO and other leadership roles during that time, in companies ranging from start-ups to Fortune 500s. As CEO of SHIP, Brian was responsible for a financial and service turnaround that was well-received by regulators across the country. Prior to SHIP, Brian owned a consulting business focused on providing strategic planning services to the insurance industry. He also served as CIO of Fortis Healthcare and Blue Cross/Blue Shield of Wisconsin. Brian has a degree in Business from the University of Wisconsin, as well as a degree in Information Systems. CEOCFO: Mr. Wegner, what is the concept behind Fuzion Analytics? Mr. Wegner: Fuzion was initially developed as a technology solution for an insurance company that is an affiliate of Fuzion. It began with a long-term care insurance company called Senior Health Insurance Company of Pennsylvania – SHIP. SHIP is responsible for a large block of long-term care insurance that was spun off from Conseco back in 2008. What we were looking to do with SHIP was to drill into our data to get much better information about claim trends and what is driving those claims. That kind of information helps us understand how the business is developing, what the financial trends are, and what is driving those trends. We looked for a solution that would give us that kind of insight and the ability to analyze information. We were not able to find a tool or solution that met our needs for long-term care, so we acquired the tools to build it internally. We did an exhaustive search to find technology that we could integrate to build that capability. We chose what we believe to be best-in-class technology. Once integrated, we then built a solution to give us those analytic capabilities. It gives us the capability to bring data in, define the data, refine the data, and add third party data to make it more comprehensive. Through that database, we are able to analyze everything from claims, billing, rate increase impacts and those sorts of things through very user-friendly dashboards that are able to deliver useful information at different levels. We provide executive dashboards so that people, while having their first cup of coffee in the morning, are able to look at their business and get a snapshot of how it is doing that day. There are also more sophisticated drill down capabilities for analysts to study trends and find out what specifically is driving those trends. Once they know why something is happening, they can perhaps do something to correct it. CEOCFO: What are the more common things that people are looking at and what are some of the more unusual things you are able to put together due to the strength of the platform? Mr. Wegner: The common things would typically be claim related. We look at what is driving claims overall, or even increases in claims in a certain pocket. We look at variables such as product type, area of the country, age band or gender. We have hundreds of variations and variables that we can combine and drill down into to find what the key areas are that might be driving an increase in claims trend, for example, that is maybe different than what we were expecting. We also have the ability to continue drilling down to find out why it is happening. That is the core purpose of why we built the solution – to quickly identify what is happening at a detailed level, and why that might be happening. Some of the more unusual areas relate uniquely to long-term care insurance. Companies often need rate increases because of claims being higher than were projected when the policies were first written years ago. There are also states that require alternatives to be offered to policyholders such as a non-forfeiture option, policy benefit reductions that would minimize the amount of rate increase, and other options. We offer these to consumers and policy holders as an alternative to taking the full rate increase or dropping their policy. We want to give them some options. With these tools, we look at who is accepting the rate increase, who is taking the non-forfeiture option and who is taking a policy downgrade, and then can predict outcomes for future rate increases. This takes us to a second area of Fuzion, which is predictive modeling. Taking all the history that we have, we are able to then project forward based on historical trends and the attributes of those policies. We overlay those with attributes of demographics and policies that we have now. We find out what we expect the outcome to be and then we can adjust variables and do some ‘what if’ scenarios. With a picture of the trend based on history, what do we expect going forward? We apply the attributes of the policies we have now and then we can adjust those attributes to say what the outcome would be if something else were to happen, or if we approached it in a different way. CEOCFO: Do you come up with one answer or when a client puts in a series of criteria, do they get several results? How far do you drill down? Is there a human element at the end of the process? Mr. Wegner: There are basically two types of models we generate. There is deterministic through which we come up with a definitive answer, and we have stochastic modeling, which is based on many different scenarios. The stochastic models provide different outcomes and probabilities of the outcomes, which are used in different situations, so we produce both deterministic and stochastic. They both require people on the back end to understand what is going on and to verify the accuracy of the models. The models are developed very much in partnership with the client in order for us to understand their data and their environment. CEOCFO: Who is your typical client today? Mr. Wegner: Our market is narrow. It is currently limited to long-term care insurance companies, and that is a pretty small and underserved market. The big players have built similar solutions for the health insurance industry but they do not necessarily understand long-term care. They also have limited revenue opportunities because it is a smaller revenue market. For insurance companies, long-term care insurance is usually a small block of business for bigger carriers and therefore it can be difficult to get capital projects funded. Even internally, getting prioritization within IT and other areas to develop something like this often does not make the cut. We have talked to insurance companies that have wanted to do this, but they do not always have the skill set to do it. They often have a hard time getting the justification to divert IT resources and other people including data scientists and resources they might not even have – getting that prioritized within the company. We have been able to go into companies and help them solve that issue by giving them a solution that we can implement very quickly. It is up and running with them seeing benefits pretty soon after they implement. CEOCFO: Would you give us an example of someone using your product, making a decision and receiving a result that made them very happy? Mr. Wegner: A good example is the third component of our solution that I can talk about, which is fraud identification. In insurance, it is estimated that anywhere from 4 to 10 percent of claims are fraudulent. In health insurance, there has been a lot of work done to identify what might be a fraudulent claim and what might be a fraudulent provider. That hasn’t been solved in Long-term Care. There are very different drivers in health insurance than there are in long-term care. We have seen our tools used successfully to identify likely long-term care fraud. Our fraud solution is called Sentinel. This solution identifies and scores each claim as to its propensity to be fraudulent. That triggers the special investigation unit within the insurance company to do more investigation. We score each claim, and we give the reason why we believe it may be fraudulent if there are indicators. All the reasons that go into that score indicate what level of effort the carrier might want to put into it. We give the insurance company the full list of scores, and they can draw a line wherever they want. They might choose anything above a certain score as something that they are going to investigate, and then we provide them with a very comprehensive tool to manage the fraud cases. Another area that we feel is innovative is identifying people with a propensity to go on claim. These are policyholders that are not on claim yet, but what is their propensity based on historical data that each individual is going to claim and why? One example of that would be that there are certain attributes that a person may have that match people in the past who have fallen and gone on claim. We can help identify people who are more likely to fall, and then provide them with fall prevention training. We can send a service out to their home if the person is open to that, and we will do an evaluation of their home setting. Do they have grab bars in showers or loose rugs they could trip on? We look for those sorts of things and many more. We would not be able to afford to do that for every insured, but by being able to identify those people that we think have the highest likelihood of falling, we are able to keep them safe and independent in their home, and we are also able to reduce claims costs, so it is a win-win. CEOCFO: Is the industry aware of Fuzion Analytics? Mr. Wegner: We effectively launched the business in March of 2013.We existed a year before that but we were pretty new, so we really rolled out at the 2013 ILTCI Conference. That is a long-term care insurance conference held once a year and is sponsored by the Society of Actuaries. We had a booth and we presented most of our tools and solutions. We saw strong interest in it, had a number of meetings and signed up our first clients. We slowed our sales a little bit in the second half of the year to make sure we focused on and were effective at implementing the clients that we enrolled. We are starting to gear up again for the conference in March, and we are now ready to take on additional clients. CEOCFO: Were there many changes and tweaks as people started to use the system? Mr. Wegner: Our solution runs over the cloud so clients do not have to install anything on their end. They access it over the Internet, and it is very secure. Some of the tweaks that we have made since we first rolled out are due to the fact that we first built it for our own insurance company. We did not give as much focus to making the screens and dashboards look as nice as they could, so in 2013 we re-developed those to make them much more user friendly and easy to navigate. We continue and will always continue to update our models to learn from data. With predictive modeling, it is interesting because as you get more and more people who are managing long-term care insurance together and talking, we are able to learn about more models we can deliver and how to make them more accurate at predicting based on different things that different carriers have seen in their own book. CEOCFO: What, if any, is the effect of the Affordable Care Act on your clients or your business? Mr. Wegner: There is really none for long-term care. Originally, the Affordable Care Act contained a Class provision that was a long-term care alternative. It was going to be a government sponsored long-term care plan that would give fairly minimal benefits to consumers, but that got dropped so there is really no fundamental impact for long-term care. CEOCFO: Are regulatory considerations built in on your end or does that come from the user’s end? Mr. Wegner: Each company would manage their own regulatory issues. Of course there is HIPAA and others such as HITECH, which we always have to be concerned about. We have very tight security built into our solution. Even at a company level, we can control access down to the individual or role in that company. We are also building a consortium model, which we expect to roll out soon, which will allow insurance companies to use industry-wide data. It will allow a company to view its own data, whether it be claims, policy holder rates or whatever area they are interested in, and compare that to the industry overall and segment it by any number of ways, including by demographics. The consortium model will let them see their data at a very granular level, down to the individual level insured level. For the industry data, it will be completely de-identified both on a company and on an individual basis. From a regulatory standpoint, we have to be aware and very careful about not violating privacy regulations and letting PHI – personal health information – be accessible to people not authorized to see it. CEOCFO: Is there room for competition and is there any now? Mr. Wegner: A company could buy dashboard tools and build their own dashboard, but we do not think there is any competitor out there that does what we do. We looked for one and could not find it, so we ended up building it. The long-term care insurance market is small. The issue really is not in building the dashboards; the issue really is in getting the data cleansed and in the format where it is reliable. We see many companies that have policies across multiple systems, and getting that data cleansed and into a commonly defined database, which is part of what we do, is perhaps the hardest and one of the most valuable parts of our solution. Secondly, they are not able to use a database that provides history from multiple sources. Having access to industry-wide data is very valuable. Lastly, carriers often have conflicting data from multiple sources that do not match each other, so having one source of truth in data is very beneficial. CEOCFO: You have a number of different services. Do companies tend to take advantage of the full range? Mr. Wegner: We do not push entire solutions on companies. What we do is start with an assessment. We will do a six- to eight-week project for the company to study their data, data sources, and talk with them about what business issues they are looking to solve. We take a consultative approach and then make a recommendation based on what we feel would help solve their unique needs. After the six- to eight-week assessment we might propose, for example, that in order to be able to analyze their claims, we will cleanse and load their data and deliver information through our dashboards. That product is called Pulse. We have a company we are working with now that is looking for predictive models, and that product is called Catalyst. Within Catalyst, we would identify whatever specific models they need built, as well as how the information is to be presented. Most companies are interested in Sentinel, our fraud solution. Insurance companies have a lot of interest in Sentinel because of the risk of fraud. Even the regulators do not want carriers to pay fraudulent claims, which tend to drive up insurance rates for everybody else. CEOCFO: Do you see using the platform and tool in other industries in the future? Mr. Wegner: We want to become the best in long-term care first, then there are other lines of business such as worker’s comp and disability income that have similar business types as long-term care. With long-term care insurance, it is a very capital intensive business. When somebody goes on claim, it is usually a long duration claim, close to three years on average. Those claims are also very expensive each month. Disability and worker’s comp are also long-duration claims that can be very expensive. We would not branch out into health insurance or something that is completely unrelated. After gaining traction in long-term care as we expect, we will perhaps branch out a couple years from now. CEOCFO: Have you done follow up to see if companies are utilizing all of the features they should and making changes based on what they find? Mr. Wegner: It is fairly early, but we have a very close relationship with our clients, so we are always in touch with them. We provide ongoing training. We do not simply turn over the solution and walk away. Once the solution is delivered, whether that involves dashboards or other components, we continually work with them to help tweak it, train them, identify opportunities and make it better. CEOCFO: Why should the business community take notice of Fuzion Analytics? Mr. Wegner: I feel we are doing some leading edge work in an industry that is under served at this point. Long-term care insurance is an issue that has been talked about by everybody from families to legislators in trying to solve the challenge of how to take care of people when they get older. It is a crisis that is coming, and most people are not prepared for covering the cost of a nursing home or home health care. It is a need that people do not want to admit they are going to have, but on the other hand, that day is coming. With Fuzion, we are looking at the long-term care insurance industry and trying to help insurance companies stay healthy financially. The need is only going to grow to provide care to people that need that coverage when they get older. There is a higher percentage of long-term care insurance companies that fail than in other insurance industries, and many more that exited the business and are not selling anymore. Many carriers are surprised by the liabilities that come about years after they write these policies. People typically buy them when they are in their sixties. If much of that business was written 20 years ago and now they are just starting to go on claim, those companies are just beginning to see the increasing scale of their liabilities. All of a sudden, claims are coming into the industry, and insurance companies may have underestimated what kind of impact it would have. We are helping insurance companies analyze their data not only so they can better predict what is coming at a macro level, but also enabling on a micro level the ability to focus on individuals and how to keep those individuals healthy and avoid claims, which in turn will help keep the insurance company healthy.